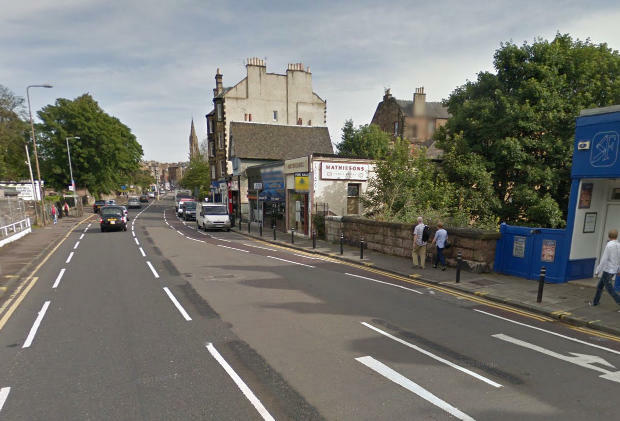 Thanks to Kim Harding for passing on details of proposed modifications to Edinburgh’s “Quality” Bike Corridor, the notoriously expensive on-and-off painted lanes that “run” (when not completely blocked by parked cars) for a couple of miles to the south of the city centre. Although there are other serious problems with the route, anyone who’s attempted to cycle on the QBC more than once will be familiar with a few ‘hot spots’ where cycling on the painted lanes is prevented almost 24/7 by parked vehicles, leaving the most vulnerable of road users, well… especially vulnerable. It now looks like the council are going to invest some extra time and money in the QBC to attempt to tackle two of these locations. The “paint-out” around parked vehicles at the bottom of Ratcliffe Terrace promised to help address safety at a critical point, and in fairness the current layout is much better than the pre-QBC configuration. Unfortunately at either end of the block of shops, the same old vehicles completely block safe use of the road. Both ends of the parking will be extended to legalise two extra vehicles under the proposals. 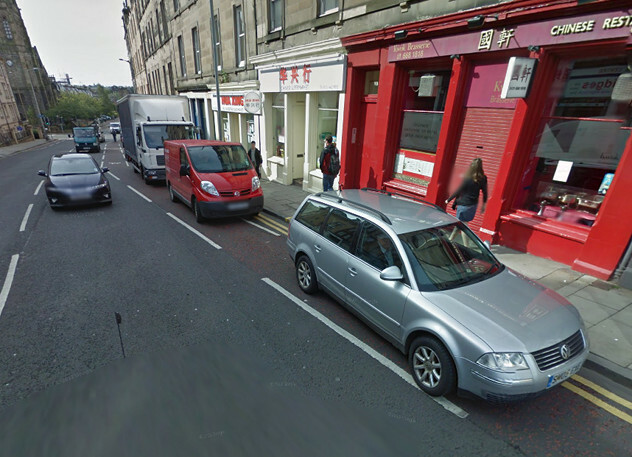 That is, parking will not be permitted on top of the cycle lane, but reflecting the council’s inability to keep businesses from ignoring the double yellows, the cycle lane will be moved out to protect cyclists forced into the road. Informal surveys have shown that there are often several times as many vehicles parked on the QBC (legally or otherwise) compared with the number of citizens brave enough to cycle along it. On the face of it, in the absence of camera enforcement, building around some of this parking activity can only be seen as a positive step. Unfortunately the plans for this location don’t involve any improvement for cyclists. Instead, the council are merely going to legalise parking on top of the QBC, making it even more useless than it already is. According to the attached report (see below), there has been no consultation with any cycling body on these alterations. While the changes at Ratcliffe Terrace represent a welcome improvement, allowing vehicles to obstruct the QBC right at the critical few metres before the West Saville Terrace junction is a serious retrograde step. There does not seem to have been any risk assessment made regarding cyclist safety at this busy junction. There is not, as yet, any update from Spokes on these proposals (to be updated?). In the meantime it would seem safe to highlight your concerns with your local councillors, and ask them to pass this on.